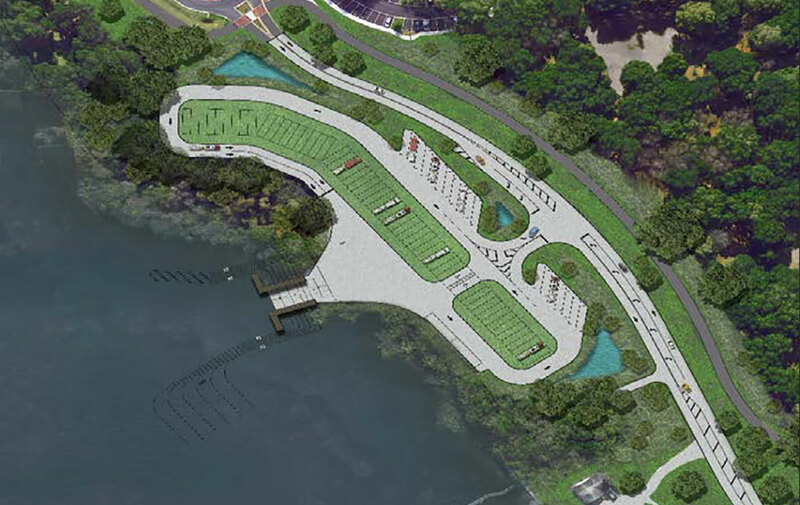 A Design for the Boating Facility at East Avenue done by a Clermont Resident and presented to the City Council. This shows double the ramps and parking capacity of the current facility. There is room for floating docks for temporary tie-ups while you retrieve your trailer or a beaching area could be used. In addition there are dedicated areas near the middle for restrooms, a Vendor-lease building, and an Ice machine! What more could a boater want? This design requires only some shoreline grasses to be removed. The Site is already cleared for everything else. 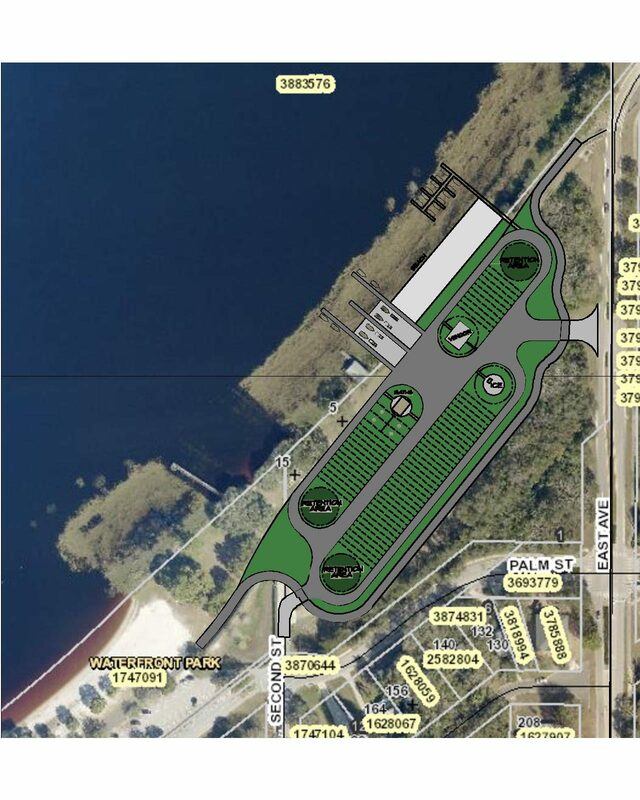 This is the City of Clermont's design for a Boating Facility on the west side of Lake Minneola. You will notice this is the Lake Minneola lakefront portion of Lake Hiawatha Preserve. This facility only equals the available parking at our current ramp. Boaters know it is too small and this provides nothing more. Also notice there is is no beaching area or docks for tie-up whie you retrieve your trailer. Restrooms? Across the street in the preserve. Several acres of trees would have to be removed, and the lake bottom dredged because this is the shallow side of the lake. Also, the current through the chain of lake carries all silt and debris along this shore, so future dredging will have to be done to maintain it.